Happy Tuesday! The past weekend flew by way too quickly, especially considering that apart from dinner and drinks with Danny on Saturday, it was a pretty lazy one. I saw this post in my draft and although it wasn’t the scheduled post for today, I decided to drag it out, edit it and hit publish. I actually started writing this before the wedding in April (originally it was called “the wedding traditions we are not going to follow”) but life got ahead of me and a little (read: long) blog break was just what I needed. 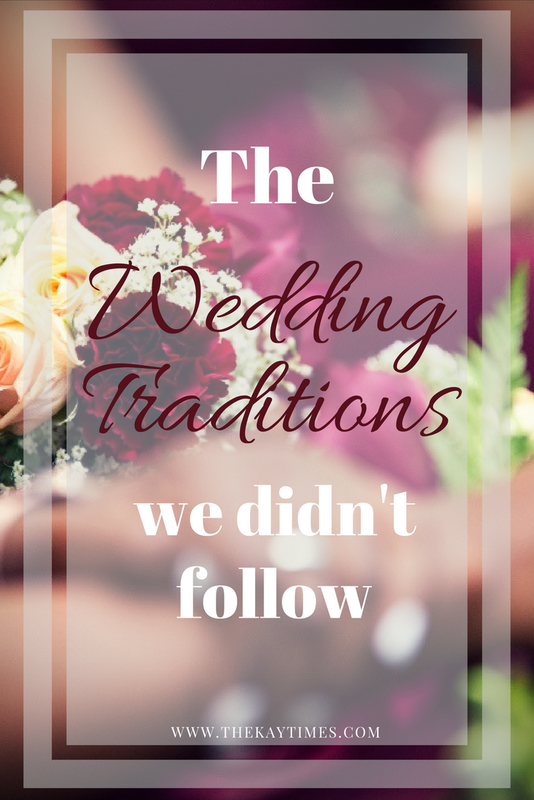 So here it is today, the wedding traditions we didn’t follow. PS. 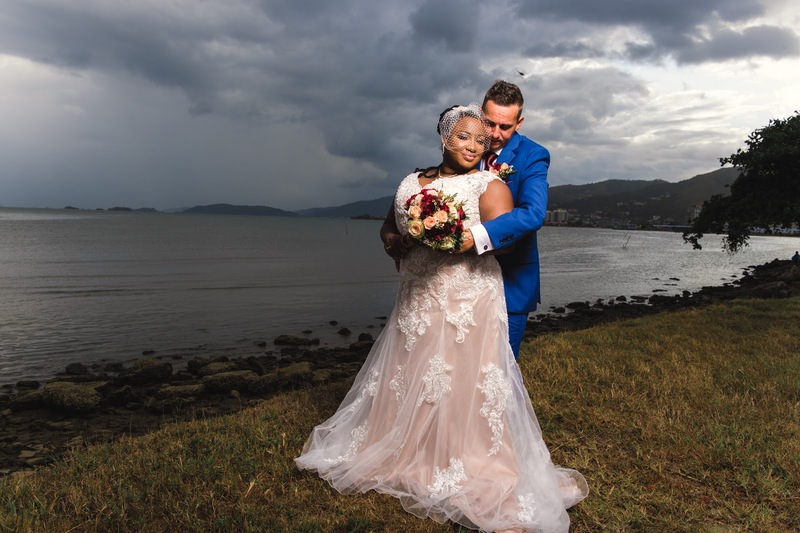 In case you missed it, Ive already blogged the Wedding Day and the unique details that made the day very “us” (4 months after the wedding no less). Also, I only have a couple more wedding posts, but they probably won’t come for a while so this is the will be the last wedding post for a while. 1. 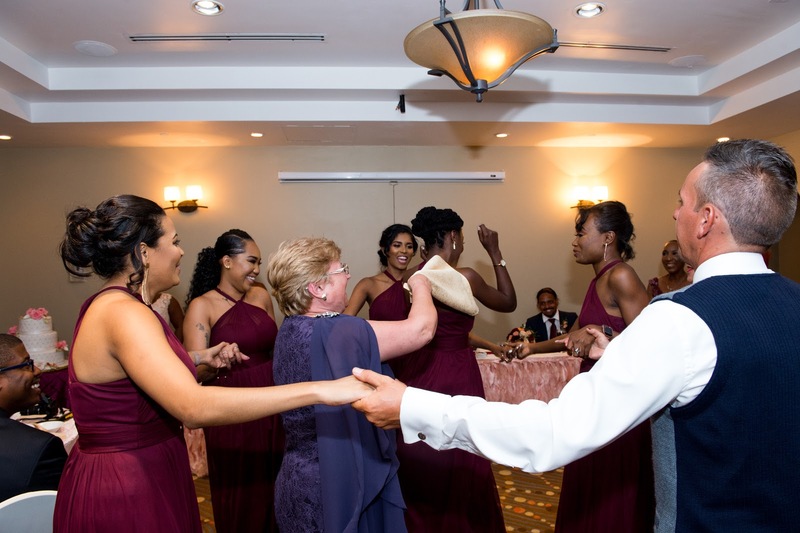 We didn’t do a Mother/Son dance or a Father/Daughter dance – I’m actually not entirely sure how we came to the decision to eliminate these dances but we did (with our parents’ – who we love – being fully on board). Instead we chose to dance with family and the bridesmaids in a traditional Romanian dance. It turned out so cute. In a sense I suppose we did follow a tradition, just not the one I’m used to. It was really fun! 2. We didn’t have a mother of the Groom speech – Danny’s adorable mum is Romanian and isn’t fluent in English (she actually doesn’t really speak English at all) so his cousin gave a speech on her behalf … that was the first speech of the night to make me cry. My dad also gave a speech. 3. 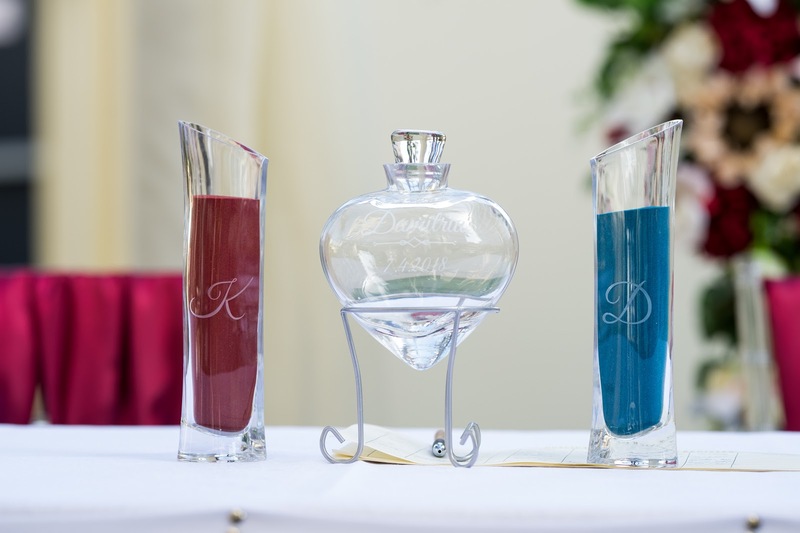 We used sand instead of candles – Im not sure its this way everywhere but in Christian weddings here its pretty traditional for the bride and groom to light the unity candle. Danny and I chose to do the sand (which in itself isn’t unpopular) and we have the jar of mixed sand on our mantle, which is what we intended. 4. We didn’t have an equal wedding party – We had tons of Romanians at the wedding but mainly family. Some of Danny’s friends from Romania couldn’t make it and so it was clear pretty early on that he was only going to have one groomsman. On the other hand I have 5 best friends and a sister who was always going to be my MOH. 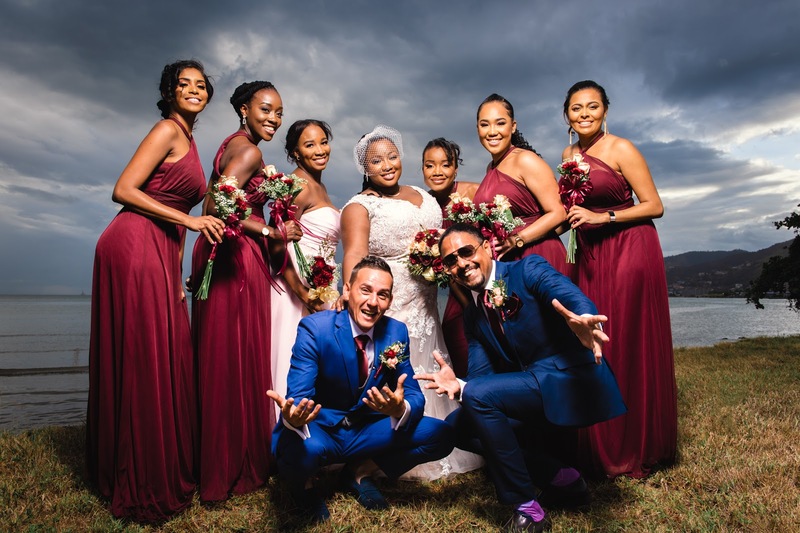 so briefly considered having just one bridesmaid and one groomsman but we decided “who cares if the number doesn’t match its our wedding” and so the bridal party consisted of 5 bridesmaids, one MOH and one Best man. 5. We didn’t have a registry – We didn’t register anywhere. Anywhere. We had been ‘living in sin’ before the wedding and had everything you could need for a home so we just did a wishing well. 6. There was no garter toss – So, I have said it before and I’ll say it again, embarrassment is my worst emotion. I can take anger, sadness, happiness and every mood in between but I just hate feeling embarrassed. I even get second hand embarrassment when other people do cringe worthy things; which brings me to my point …I most definitely close my eye every time I see a garter toss. Well specifically the part where the man goes for the garter. Now I’m NO prude guys but I just feel weird with a room full of people watching a new husbands head going a bride’s dress. I just couldn’t. I’m proud of those who can but I could not. It is what it is. I nixed off the original programme ton the day the programmes went to print. I did however toss the bouquet. 7. 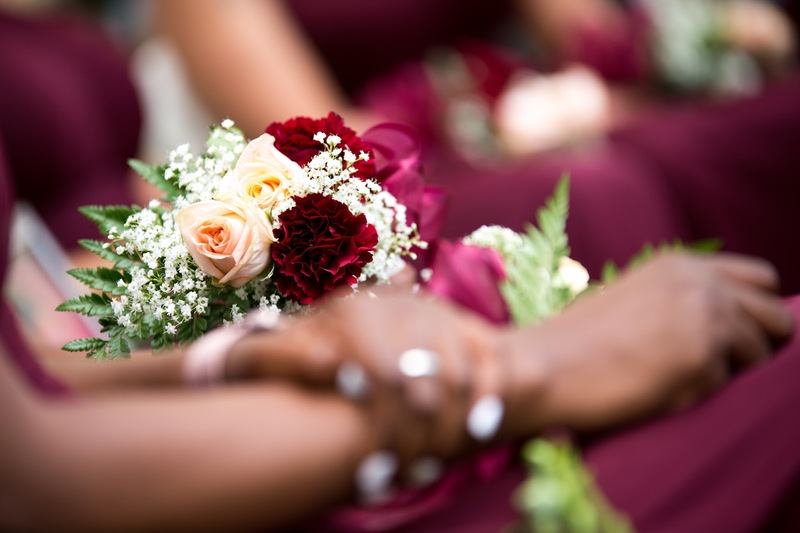 I didn’t wear white – If I could have gotten married in black I would have. Unfortunately my mother simply may not have shown up ha! Only half kidding. Anyway I knew I didn’t want white so my dress had a gold undertook and ivory lace. It looked more gold than ivory (although some pictures makes the dress look very blush). 8. We didn’t go on a honeymoon immediately – Lastly I found it so weird that people looked at us like we were aliens when we said we were going on honeymoon a month later instead of right away. Anyway, we went a month later, although we did have a mini-moon right after (but it was more family time). The best wedding advice I got was “Its your day and you can do what you want”. And so I did. And it was fabulous. Some Traditions are meant to be broken anyway. To see other posts about the wedding click here.